Here’s everything you don’t know about Bluetooth. It’s hard to get through a single day without using Bluetooth technology. You might have a pair of Bluetooth-compatible headphones for listening to music. You might track your steps on a fitness tracker that sends data to your computer or phone. You may try (and often fail, if you’re me) to print documents wirelessly using a Bluetooth printer. For differently abled individuals, Bluetooth can power a wheelchair. 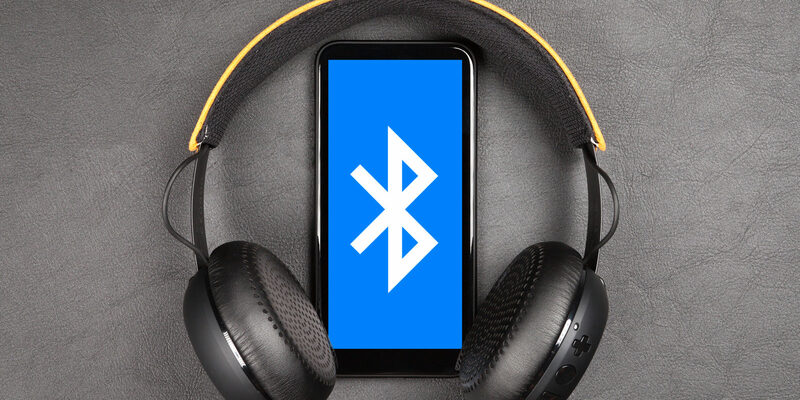 Even though Wi-Fi may be the most popular way of connecting to the internet, Bluetooth provides immeasurable usability that is often more reliable. How does Bluetooth actually work? Where does it come from, and what’s with the symbol? Slow down, one thing at a time. Before wireless technology, the only way to get two devices connected was by using a cord. If you wanted your boombox to play music that you downloaded on your computer, you’d have to have a cable. If you wanted to print something, you’d have to walk your computer over to the printer and plug in. Enter science. Bluetooth is a standardized system that allows any two to eight devices to wirelessly connect over short distances by “talking to each other” or exchanging data using radio frequencies. Bluetooth works similarly to regular AM/FM radio, which broadcast signals that are received by radio devices. A “master” Bluetooth device (such as your cellphone) sends out a signal, looking for “slave devices” (that’s an official term) also compatible with Bluetooth to pair to. A group of slave devices connected to a master device is called a “piconet.” So, your phone may be connected to your headphones, your car, and your tablet all at once in a piconet. Bluetooth devices operate at frequencies between 2402 and 2480 MHz, and communicate to other devices by sending out signals in short bursts. The device signals then “micro hop” different frequencies to locate these other devices in its range. By the way, this adaptive frequency hopping would not have been possible without help from Hollywood actress Hedy Lamarr nearly 50 years prior. During World War II, Hedy Lamarr invented a radio technology that prevented enemy tracking of torpedos. Even the official Bluetooth FAQ agrees that without Lamarr’s invention, Bluetooth would not be possible. Early Bluetooth devices drained battery power and made data transfer slow. But in the last 20 years, significant updates to both speed and power-efficiency have made Bluetooth an irreplaceable component to our technological lives. In the late ‘80s, the Swedish telecom company Ericsson was looking to use short-link radio technology to make headsets wireless. Three scientists—Jaap Haartsen, Tord Wingren, and Sven Mattison—were tasked with developing a product to do this. By 1994, they came up with the tech that would ultimately become Bluetooth. But it didn’t have a name. In 1997, an Intel engineer named Jim Kardach was using Ericsson’s new tech to create a system that would allow cellphones to communicate with computers. In his spare time, Kardach also happened to be reading a book about Vikings, The Long Ships, which mentioned King Harald Blatand, the 10th century King of Denmark and Norway who united all of Scandinavia. Blatand roughly translates to mean “bluetooth.” Kardash thus named the technology Bluetooth, as it peacefully brought together devices from many different sellers and operating systems under one protocol. The “master” and “slave” terminology is also supposed to connect to the Viking theme. The Bluetooth symbol is also a reference to Scandinavian history. No, it’s not a symbol of two sideways “teeth” as I previously thought. It’s the initials H. B. (for Harald Blatand) written in a runic or Viking alphabet. Connecting your Bluetooth devices to one another is relatively easy. Let’s say you’d like to connect your phone to Bluetooth headphones. Make sure the headphones are fully charged. Then, on your phone, turn on Bluetooth (this is usually found in “Settings” and will be marked with the runic symbol in the upper half of your screen). Your headphones should then appear on a list of devices. Sometimes you’ll be asked to enter a PIN on either your phone or the device to confirm you’d like to connect these two. After successfully entering the PIN, you should be paired!